1. Quality of your Content: Write quality contents. Write about contents that are unique and mostly searched in Google. Go look at Google trends and check out topics that are trending and have unique ideas for writing blog posts on those topics. 2. Quantity of the Contents: Quality matters, so does quantity. You should write posts on quantity which should also be a good quantity. Be an active blogger and write posts every now and then. If you just post an article once a month, your regular readers may stop following you. 3. Blog Post Length: Make sure that whenever you are writing a blog post, you post should atleast be about 700 plus words and an ideally good post should have about 1000 – 1500 words. Yes this is where every blogger goes wrong when they post a lot of blog posts but are not of good length hence they are not found by search engines and get really less traffic. 4. Social Media Influence: As a blogger you should also make sure that you are really active in social media whether it be twitter, Facebook, Pinterest, Google Plus, etc. Be active in social networks and don’t just spam your account with links but make it a quality account which will get your more followers and then occasionally post your blog updates. 5. Guest Post for Other Blogs: Most bloggers under estimate the power of guest posting but this will help your blog a lot and even double your traffic. 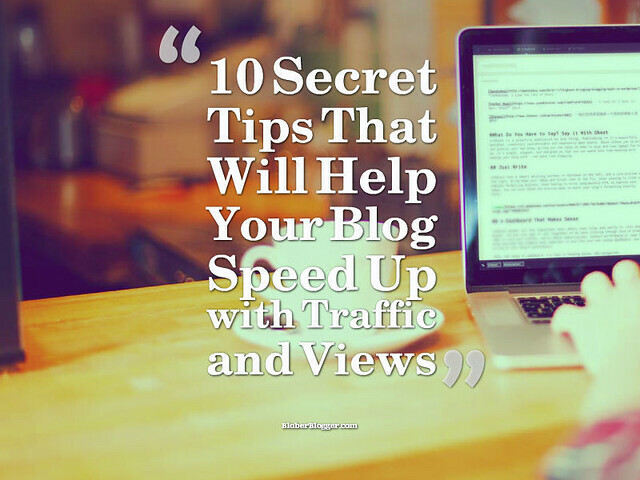 First writing a guest blog post will expand the horizon of your readership and get you and your blog promoted. Secondly leaving a backlink on your guest post will definitely increase your blog’s SEO and ranking making your blog posts highly visible and more traffic. 6. Commenting in Others Blog: As a blogger you should be very social and make sure you comment in other blogs as well. This will increase the chance of you getting discovered, provide backlinks to your blog and also help get new readers who will be introduced to you and your blog. You will also increase your social status as a blogger by being highly interactive in blogs reading to increased traffic in your blog. 7. Encourage Comments in Your Blog: Make your blog post highly interactive. Do ask questions to your readers as well in the post and their opinions, so that they would comment them on your blog comment box, which in turn would definitely add value to your blog post enriching the search engines to get a grab of your blog easily and thus gaining increased traffic. 8. Use Appropriate Keywords and SEO: SEO is a skill and you need to practice and master that skill. Using keywords in your post properly may help your post to gain a better search engine ranking, a good SEO and as a result increased traffic. 9. Great Catch Titles: They say don’t judge a book by its cover but apparently everyone does. Whenever you are writing a title for your blog post, make sure it has a catchy headline with appropriate keywords that describe the blog post. But you should also be careful that your titles should not describe something that is not in the post else you will lose your blog’s wellness, followers and readers. 10. A good blog design: A good blog design will always impress your readers and will encourage them to share your posts, recommend it to friends and revisit. You gain followers if your blog looks nice. Make sure your blog design is good, with well-arranged topics and sidebars.